This protective field screen replacement net is durable and hand sewn at every mesh. Don't throw out that usable frame. Simple replace it with a new 10' X 10' net. Replacement net manufactured using a #36 twisted, knotted nylon and includes a rope border. - Net replaces size is 10' X 10' screen net. - Nets are hand sewn at every mesh. 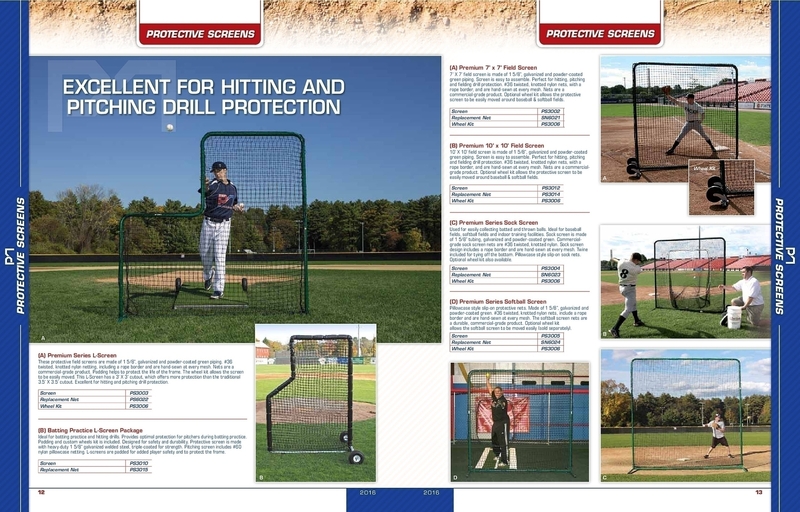 We also sell several other sizes and styles of Replacement Field Screens nets, wheels, padding and components on our web site. 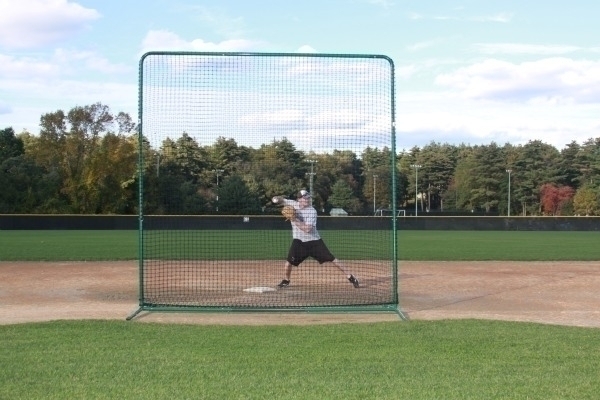 Custom Sports Replacement Netting: Replacing protective sports screens and netting is our specialty. We sell a several kinds and sizes of netting for all budgets.